The Vulcan is just one of the missing moulds. It is well known among collectors of Frog that quite a few of the moulds are missing. Many may just have been worn out and destroyed. The V Bomber series Victor, Valiant and Vulcan were sent to New Zealand but are reported as missing. One story that persists is that they were “Lost at sea”following the sale of the moulds to Lincoln Industries in Hong Kong. No evidence has to date come to light to support this. 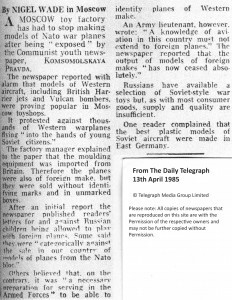 Another rumour is that Triang sold the moulds to another New Zealand manufacture but again no evidence of this exists.It is worth noting that at the time of the loss in 1977 the Merton to Moscow deal was in full swing. I hope in the next few months to be able to solve some of the mysteries that surround these moulds. 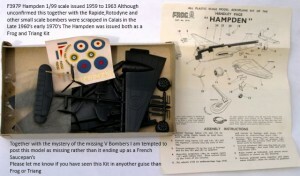 It is worth noting that a mint V Bomber sells for £150 plus. Ironically most of the moulds that were sent to the former USSR still exist in reasonable condition and are used to this day. A tribute to the fine craftsmanship of the mould makers at Merton. 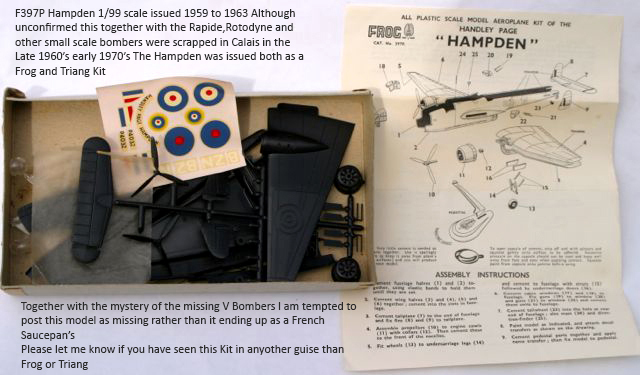 The Holy Grail of Frog would of course be the Rotodyne but I suspect that was scrapped in Calais in the late 1960’s as part of the Frog/Triang deal.It is interesting to note that with the exception of the Lancaster the other small scale Bombers and the Rapide are also missing. 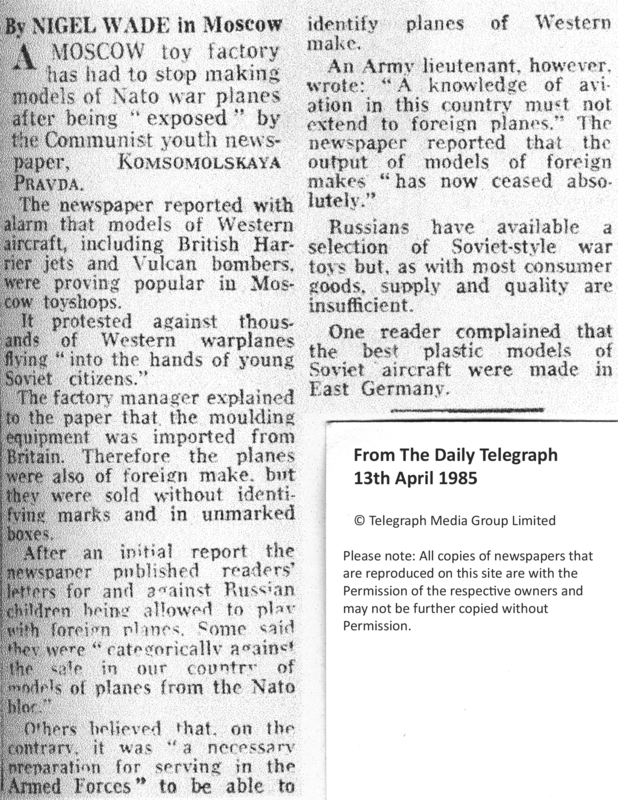 An interesting clue to the Vulcan can be found in the Lines/Hellstrom book Frog Model Aircraft 1932 to 1976 in which a copy of a Daily Telegraph article dated the 13th April 1985 (reproduced below with permission of the Telegraph) mentions the Vulcan. Could it be that a duplicate mould was made as part of the “Merton to Moscow” deal? 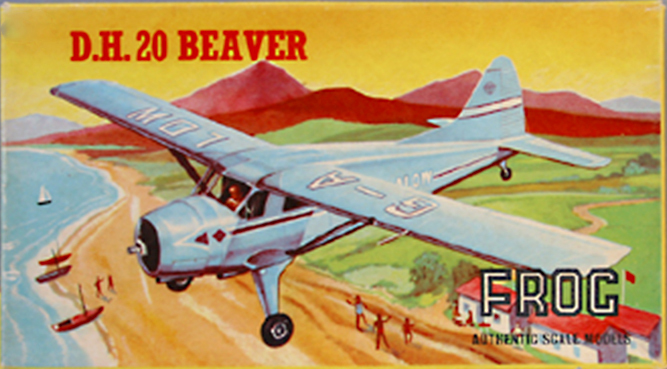 However the Soviet authorities may have found a V Bomber a step to far for it’s youth during the Cold War. 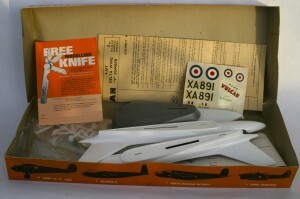 The Vulcan complete with a advert for a free knife. 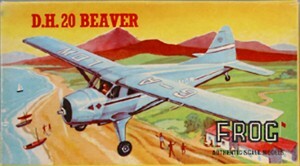 My example of the Beaver. I intend to leave this model in “As found” condition. On the subject of the missing moulds it is quite possible several of the Donetsk Toy factory moulds are still in Ukraine. I know of at least one that surfaced recently and was owned by a friend of mine. Sadly the Toy factory was shelled with a tragic loss of life in 2014 during the war that is still raging in Ukraine. Most of the DTF moulds went to Russia. Ark and Eastern Express still produce from them to this day. However not all of the moulds have been accounted for and the search continues. 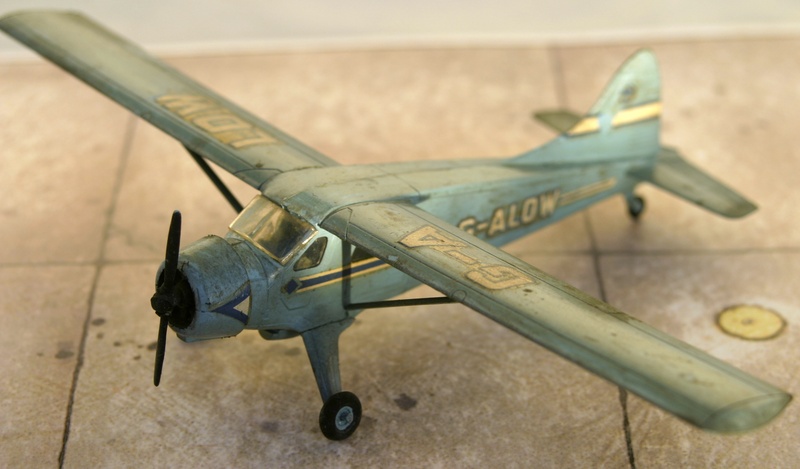 I am often asked what happened to the more rare moulds such as the Rotodyne, DH Beaver and 1/96 bombers etc (with the exception of the Lancaster) It is sadly my opinion that they were found uneconomic and scrapped most likely in France. As to the V Bombers despite extensive research including inquiries with Lloyds of London (the lost at sea theory) I fear they may have gone the same way. I obviously stand to be corrected and would welcome any further information relating to the fate of the moulds.